Do you use flaxseed in your diet ? If not then you should. 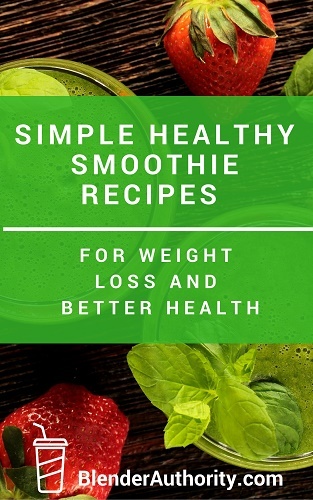 It is extremely beneficial and very simple to add to most meals or smoothies. 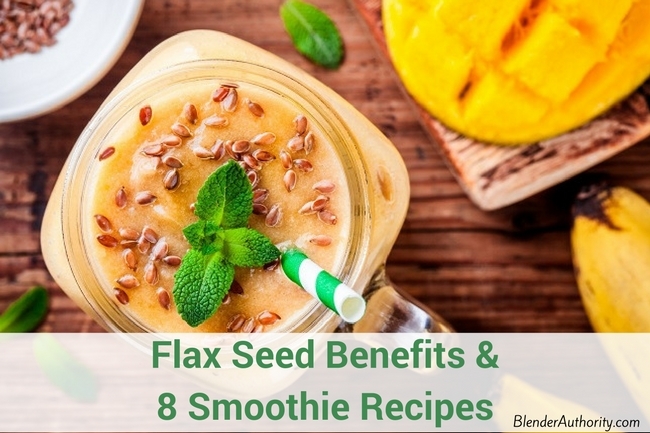 In this guide, we will explain the benefits of flaxseed, how to use it properly, and give you some of our favorite flax seed smoothie recipes to get you started. Flaxseeds, or linseeds, as you may call them, are often put into the category of “superfoods”, a term that seems to be trending nowadays. Some purists object to the term “superfood”, but generally, it refers to ingredients that are rich in nutrients, and specifically antioxidants and omega-3 fatty acids. Indeed, if such things as “superfoods” exist, flaxseeds are surely one of them. They have been cultivated since the first ancient civilizations existed such as ancient Egypt and China over 3000 years ago. We’ve talked about how flaxseeds have been called a “superfood” for being rich in antioxidants and omega-3 fatty acids. In fact, they are also rich in fiber, which is another key part of a healthy diet. 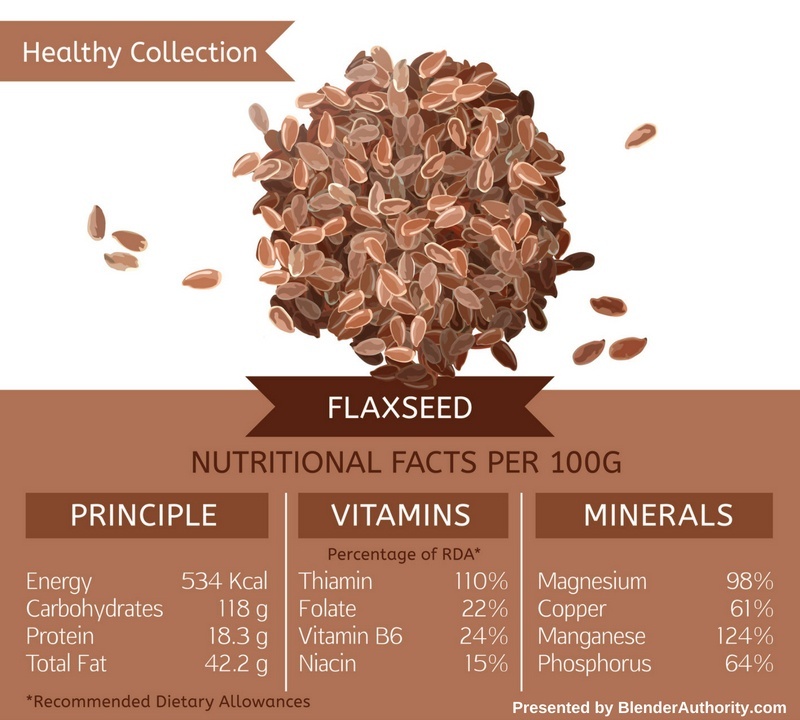 Let’s look at the key healthy components of flax seed. Flaxseeds are a great source of lignans. So great, in fact, that they are the food with the highest levels of lignans you can find. They can have almost ten times as much lignans as the second-best source, which are sesame seeds. Lignans belong to the class of phytoestrogens, which are plant-derived antioxidants. These can lower the risk of some chronic diseases and have a probiotic effect on your digestive tract. Remarkably, flaxseeds are also one of the best sources of Omega-3 that you can find. More specifically, of the three types of Omega-3 fatty acids (ALA, EPA, and DHA) flaxseeds are rich in ALA. Many studies have been conducted regarding the potential benefits of these fatty acids for our health. Throughout those studies, Omega-3 fatty acids have been linked to the reduction of the risk of cancer, cardiovascular disease, inflammation, cognitive aging and atopic diseases. On the other hand, there is some evidence that these types of fat can contribute to better mental health, and improved overall brain and visual functions. There are two types of fiber, namely soluble and insoluble, and non-surprisingly, flaxseeds contain high amounts of both. Let’s examine soluble fibers first. This type of fiber attracts water to form a consistent substance during digestion, which can help you to feel full for longer. It also delays the absorption of glucose by the blood, allowing blood sugar levels to fluctuate less. Soluble fibers are also associated with a reduced risk of cardiovascular disease by lowering the levels of your total and LDL cholesterol. Insoluble fibers improve the overall function of your digestive tract. Also, consuming insoluble fibers regulates your blood sugar levels, which can not only lower the risk of diabetes but also help diabetic patients. Insoluble fibers share some chemical properties with the lignans that we’ve already covered. Looking at the main nutrients contained in flaxseeds has already helped us to understand how they can have a positive impact on our health and help to reduce the risk of some chronic diseases, but how do they help with weight loss? Flaxseeds can play a crucial role in any weight loss diet or program. Firstly, they help your digestive system stay in tip-top shape, which is important whether you are trying to lose some pounds or not. Also, the fact that Omega-3 fatty acids reduce inflammation may help people with weight issues. In an inflamed body, our master weight control hormone does not work as it should, causing us to gain weight. And lastly, we’ve seen how fibers can help you to feel satiated for longer after eating. Clearly, this will help you to eat less often, which will also support your diet. So, should you eat your flaxseeds whole or ground? As a rule, it is always best to grind them first. While whole flaxseeds can have a nicer look and a crunchy feel to include in your dishes, they will go through your digestive system almost unscathed, making it very difficult for your body to absorb all those beneficial nutrients. This is because the outer layer of flaxseeds is mainly composed of insoluble fibers. Eating milled flaxseed instead allows for the absorption of all the components so you can reap the most benefits from them. Ground flaxseed can be used in baking, as a substitute for butter but also in roasted dishes or even smoothies. Even though we’ve just praised the benefits of eating ground flaxseed, it is always best to buy it whole. (We like this brand) This is because ground flaxseed can go rancid faster. If you buy ground flaxseed or plan to store some after you grind it, store it in the fridge for longer durability. Furthermore, it is advisable to buy flaxseed that is packaged in an opaque container. This way, the seeds are protected from light, which can harm the nutrients inside and, again, make the oil go rancid. Also, remember to check the “Best Before” date in the packaging to buy the freshest seeds possible. Now it’s time for the good part. We’ve already seen the numerous benefits of flaxseeds, so you’re probably ready to start including them in your diet! We’ll leave you with some recipes for the most delicious flaxseed smoothies out there, so you can try them at home. Some include ground flaxseed while others replace it with flaxseed oil. Remember, adding ground flaxseed can slightly thicken your smoothies. Enjoy! A delicious creamy smoothie. The picture doesn’t have the spinach in it but adding spinach won’t change the flavor and will a nutritious boost. 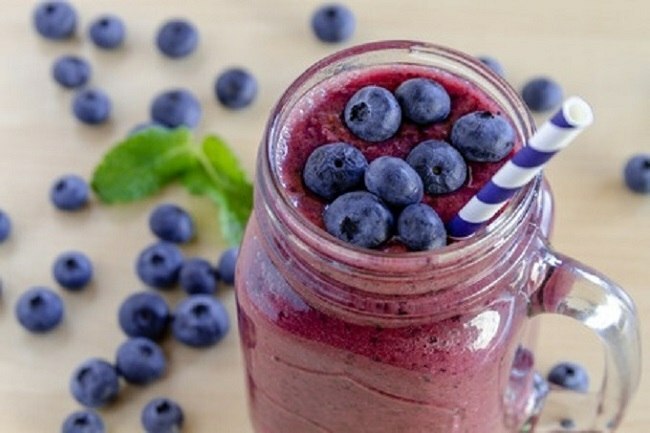 A simple, tasty smoothie that is rich in vitamins and nutrients. 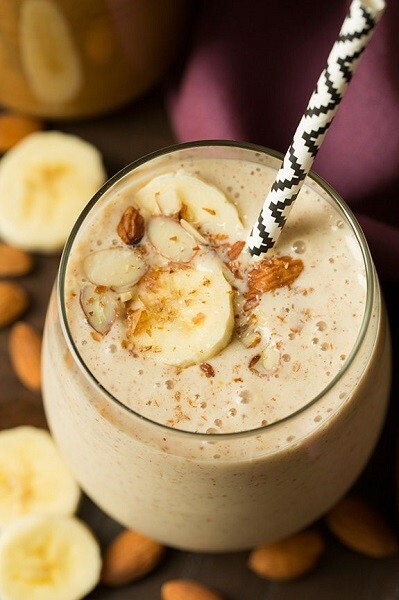 This smoothie from Jacklyn @ Cooking Classy is like a creamy rich dessert with almond butter, honey, ripe banana, flaxseed, and more. YUM ! 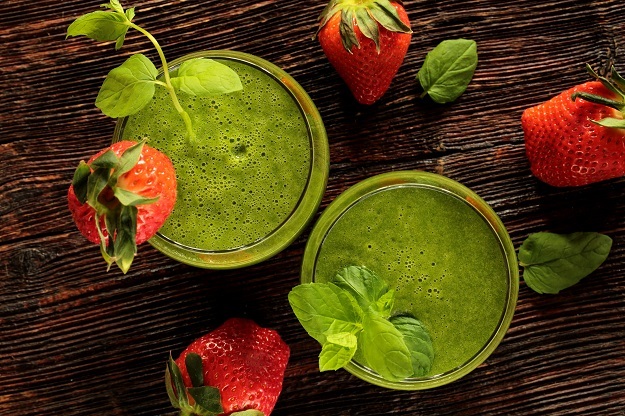 This smoothie recipe is super simple to make and yet delicious with ground flaxseed ! Great smoothie if you are short on time. 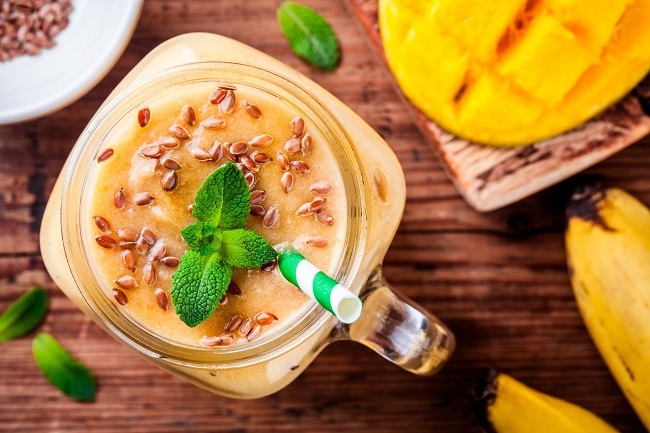 This flaxseed smoothie by Yummly comes with a tropical twist! It includes a unique blend of spinach, pineapple, and seedless red grapes. Despite its name, this smoothie from WholeFoods Markets mixes a lot of ingredients, including the unusual agave nectar, which is a sweetener. Try it out and see for yourself! What better way to start your day than with a mix of chocolate, banana, peanut butter and flaxseed? This nutrient bomb by trained chef Kelley is a great option for a tasty breakfast. A refreshing smoothie with peaches, bananas, and honey. This one uses flaxseed oil instead of the traditional ground flaxseeds. We would suggest using real apples and water instead of apple juice because apple juice is loaded with sugar. We hope you enjoyed our smoothie suggestions! They are sure to deliver all the benefits of flaxseeds in a tasty fashion. Discover the health benefits of flaxseed and get started with our favorite flaxseed smoothie recipes. Learn about the difference in whole vs ground flaxseed and which is better for you. I would love to have the nutrition information listed for the smoothies including calorie count.